Kinsta is a managed WordPress hosting provider that helps take care of all your needs regarding your website. We run our services on cutting-edge technology and take support seriously. These form the basis of our service. You’re free to focus on growing your business, let us handle your site. Always running, monitored, and scaling on-demand. Support is our number one priority. Pro-active WordPress experts at your service, who reach out when your attention is needed. Designed with beginners in mind and packed with advanced features developers will love. Start with a quick and simple install, or use our pro solutions right away. MyKinsta is the control center for your sites. From tracking bandwidth, visitor stats to creating SSL certificates, all the tools you need are in one convenient location. 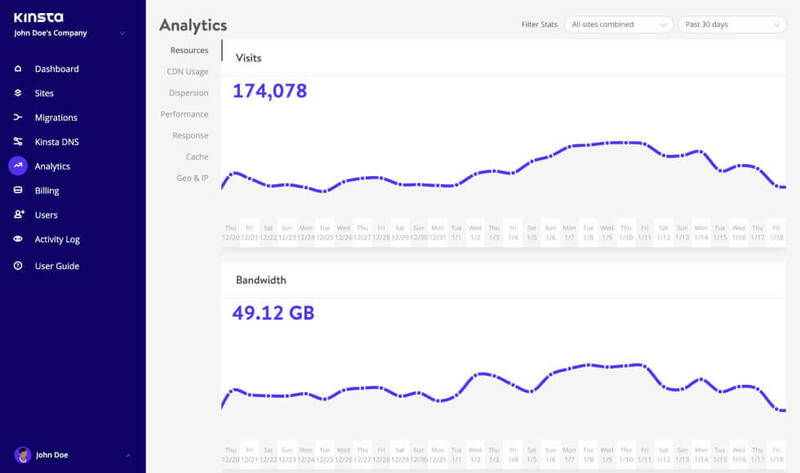 Our dashboard lets you track important data for each of your sites separately; such as visitors, bandwidth usage, response times, and more. MyKinsta was built from the get-go as a companion to our services. 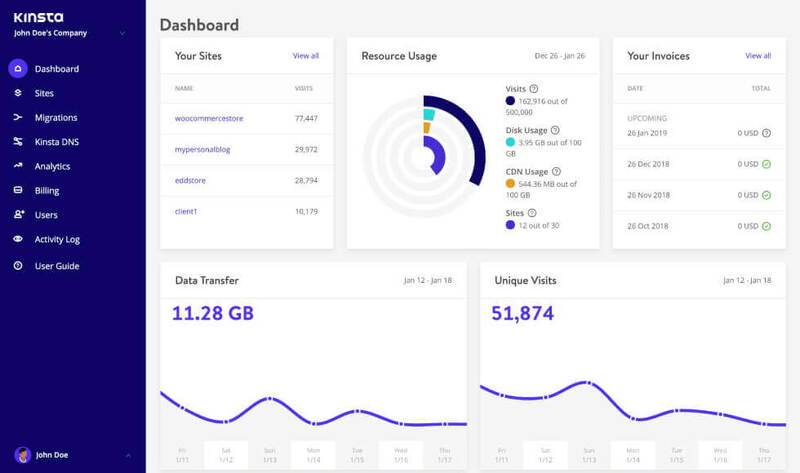 It allows you to manage your sites with the ease and precision you would expect from Kinsta. Our powerful multi-user feature allows you to add any number of users to your team. Give them access to all your sites, just billing or add them as developers or administrators to a subset of your sites. SkyrocketWP came to Kinsta searching for speed, and they found that and more. 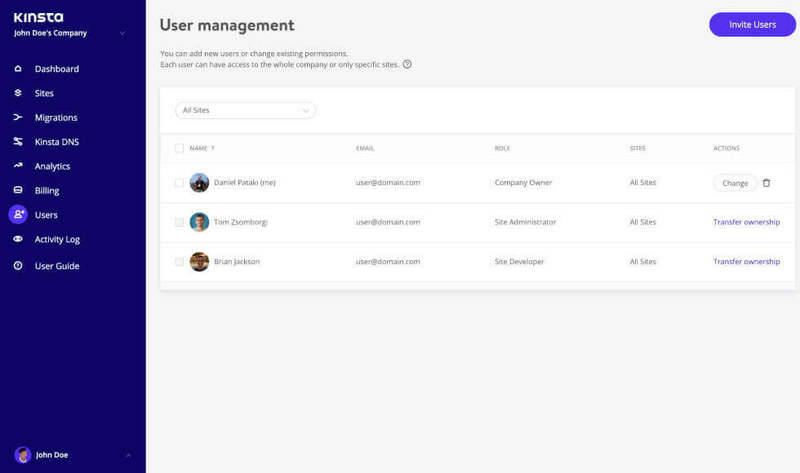 Check out how Kinsta helps them manage over 100 WordPress sites! 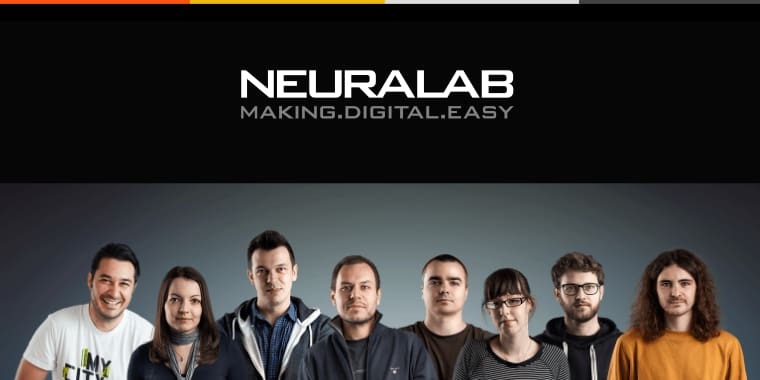 Neuralab moved their eCommerce clients to Kinsta and saw 1 second faster load times, and a provider who knows the "nuts and bolts" of WordPress. 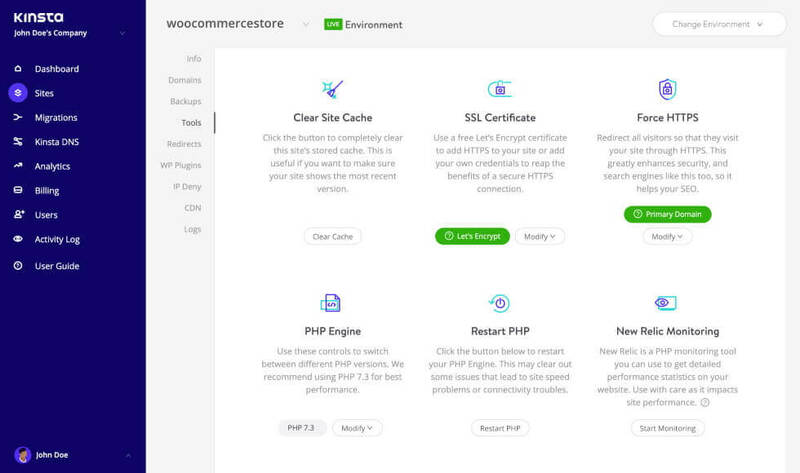 "For automatic software updates and security patches, consider using a provider such as Kinsta which offers fully-managed WordPress solutions." 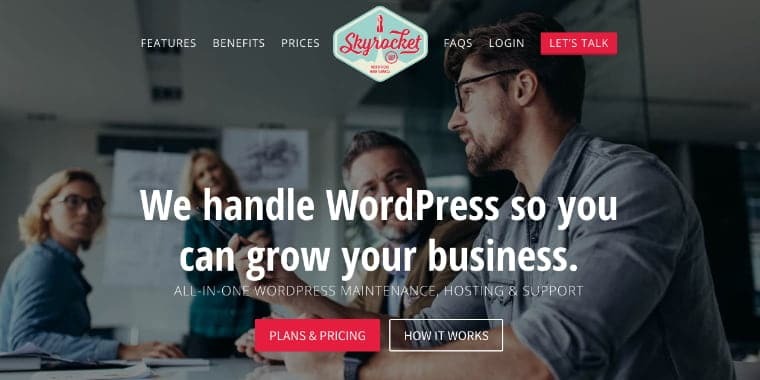 "If you want to host your business or blog, Kinsta's managed WordPress hosting is the best. Without any hesitation, Kinsta is incredible when it comes to uptime and speed." 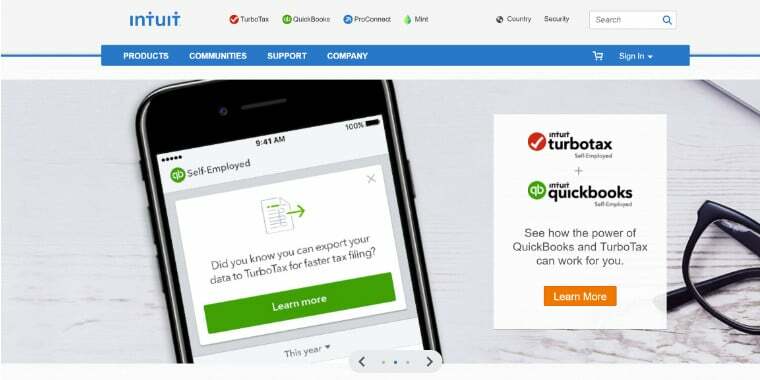 "Over the past 6 months Anchor Hosting worked with Kinsta to move over 500+ sites from WP Engine. "I couldn’t be happier with the whole process and consider this upgrade a huge success.""